+ Wife shall have a valid Employment visa. + Original Marriage Certificate attested by UAE Embassy in home country and Ministry of Foreign Affairs in UAE. For attestation requirements, Call: +97150-538 3545. + Tenancy Contract (accommodation rental agreement) and Electricity Bill. Contract should be registered through Ejari online system of Real Estate Regulatory Authority (RERA). If you live out of Dubai, Municipality attested Tenancy Contract and Electricity bill are required. + Attested Educational Certificate (attestation from UAE Embassy in home country and UAE Foreign Affairs here). + Bank statement of last three months. + Colour passport copy of husband and one photograph with white background. + Original Passport, Emirates ID, Bank Account Number (IBAN), Labour Contract/ Salary Certificate of Sponsor. + Salary shall not be less than Dh4000 or Dh3000 + accommodation. 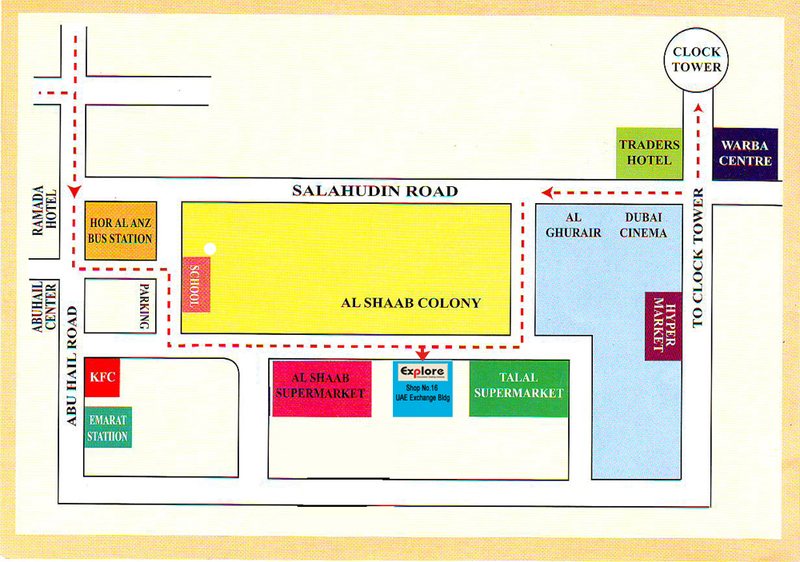 Labour Contract can be printed from Tas’heel Centre on payment of Dh53. Passport copy is enough for printing Labour Contract. No need attestation. + Dh5020 Deposit. This amount is refundable after visa cancellation. Visa Application Fees: Dh389 to be paid at AMER Centre. If you are Government or Semi-government Staff, application Fees: Dh339. + Dh220 for file opening should be paid at AMER Centre. - All charges, including Deposits, Guarantees, Courier and file opening fees will be processed through AMER Centre. Refund can be processed only to the sponsor’s Bank Account. IBAN (International Bank Account Number) of the Sponsor (applicant) is required. - Customers need to visit the immigration (GDRFA) only after the approval of their online application. Customer will receive SMS incase of approval, modification or rejection. White colour Visa will be mailed to applicant's E-mail address after approval. If you need pink colour visa, you can visit any GDRFA Dubai branch after receiving approval SMS. No extra fee. Passengers from some countries need pink colour visa for Emigration clearance. If the wife's profession is other than the above mentioned, she can try through Humanitarian Case Committee at the Al Aweer Immigration Office, if her salary is Dh20,000 or above. + If the husband is inside UAE on Visit/Tourist Visa or his previous visa cancelled, Dh1320 to be paid extra to change status (Dh680 to issue visa inside the country and Dh640 for status change). Typing charge extra. + Original Passport, Emirates ID, Bank Account Number (IBAN), Tenancy Contract (Ejari), Electricity Bill & Labour Contract/ Salary Certificate of Sponsor. + Application Fee: Dh230 to be paid at Typing Centre, for one year (Service charge extra). + Original Passport, Visa, and Medical Certificate of Husband. + Original Passport, Emirates ID, Bank Account Number (IBAN), Tenancy Contract (Ejari), Electricity Bill & Labour Contract/ Salary Certificate of Sponsor (wife). + Emirates ID application to be attached with Visa stamping form. Type Medical & ID application and go for Medical first, then do fingerprint at EIDA Centre near Medical Clinic (Al Baraha, Sonapur, Al Qouze). No need appointment for new visa holders. + After receiving Medical Report, submit visa stamping application through AMER Centre. + Application Fee: Dh389 should be paid at AMER Centre. + If the sponsor is Government or Semi-government Staff, application Fee: Dh339. + Dh5020 Deposit (if you didn't pay at the time of applying first time). This amount is refundable after visa cancellation. Q: I am an employee in a company with a salary of Dh10,000 plus accommodation, can I sponsor my husband, who is currently in Dubai on a visit visa, and my two sons? In case of visa approval for my family, can we proceed with the visa process here in the country without the need to leave the UAE for changing the visit visa to a resident visa? Can this type of visa be done for two years? 1. The wife shall be an engineer, or doctor, or teacher or a nurse. 2. The basic salary shall be either Dh4,000 or Dh3,000 plus accommodation. If you work in other than the above listed professions, you shall make a petition to the department to exempt you from this requirement, thus, the said department will decide on this request and pass its resolution of acceptance or rejection. In case of acceptance, the basic salary in this case shall be Dh10,000 or Dh9,000 plus accommodation. Finally in case of the residence visa approval, you can do the new visa process in the UAE and there is no need to leave the country. This visa is issued for one year for husband and two years for children and is renewable. Children will get three years visa if you are working in a free zone or government or semi-government organization. Tags: What are the documents required for husband's residence visa? I am a Nurse, can I sponsor my husband and children on residence visa? What is the salary criteria for sponsoring husband on residence visa? I have one bedroom flat in my name. Can I apply residence visa for my husband? My profession is Accountant and my salary is Dh15000, Am I eligible to apply residence visa for my children and husband? How much is the fees for husband's residence visa? What are the documents required for husband's residence visa? Do I need to present marriage certificate for my husband's residence visa? Is it mandatory to attest marriage certificate and Birth certificate for family visa? My husband is on visit / Tourist Visa. Can he change his visa to residence without exit? How much is the extra fees for changing visa inside country without exit?